The C-scope gives the target azimuth angle against the target elevation (vertical) angle, essentially giving the direction to the target but not its actual range. 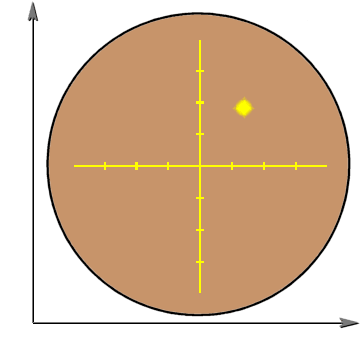 The vertical dimension on a C-scope presents the targets relative elevation and the horizontal dimension presents the targets relative azimuth. This is basically a “gun sight” configuration that might be used, for example, in an early interceptor aircraft.